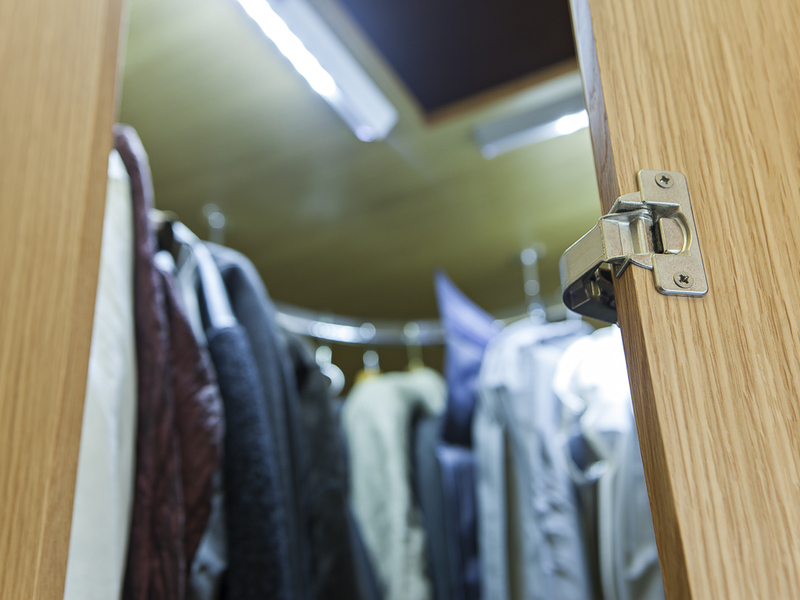 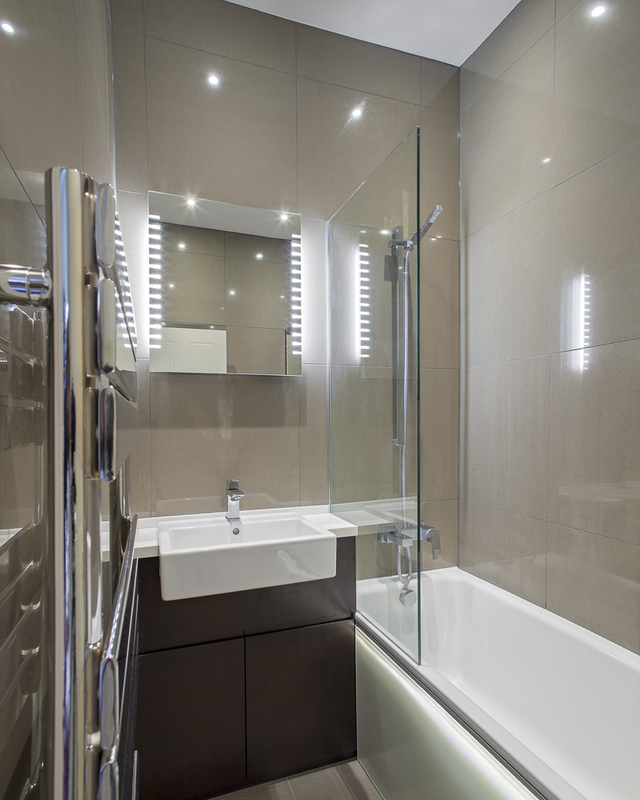 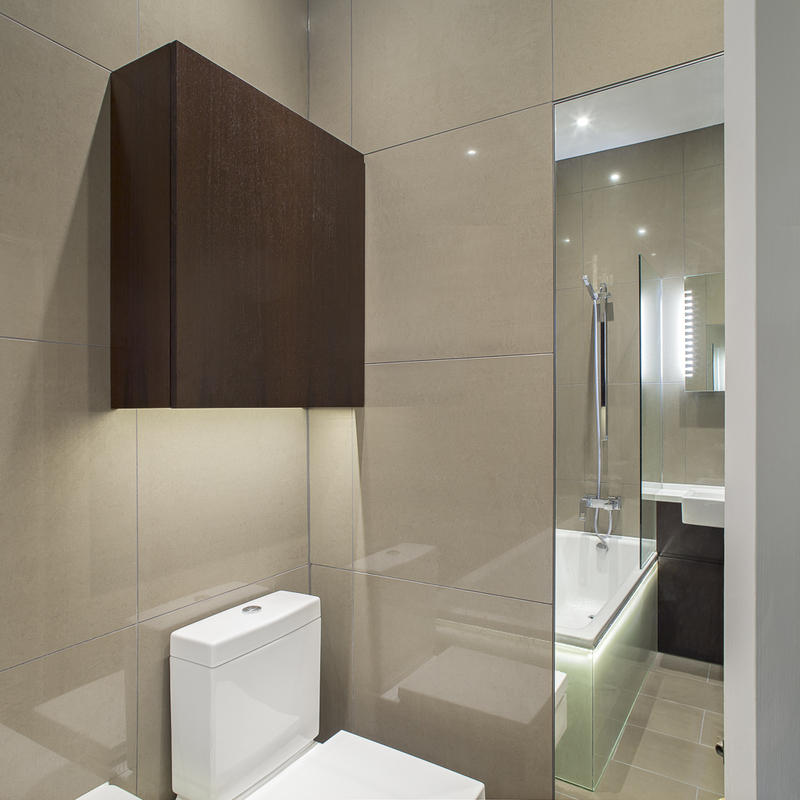 The refurbishment of an apartment in Islington for a playwright included the renovation of a dated bathroom and the installation of fitted bedroom furniture. 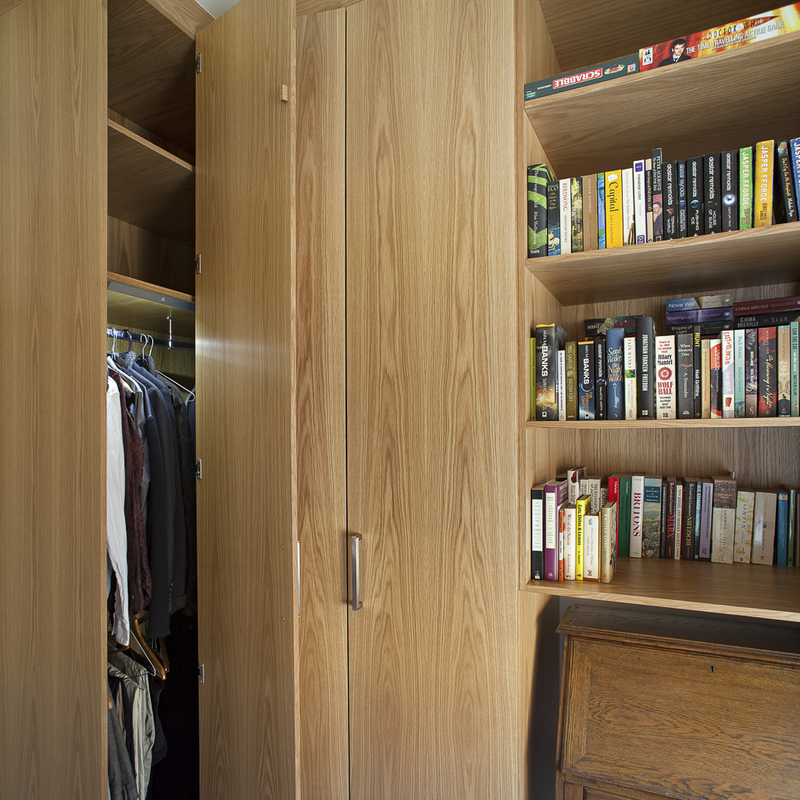 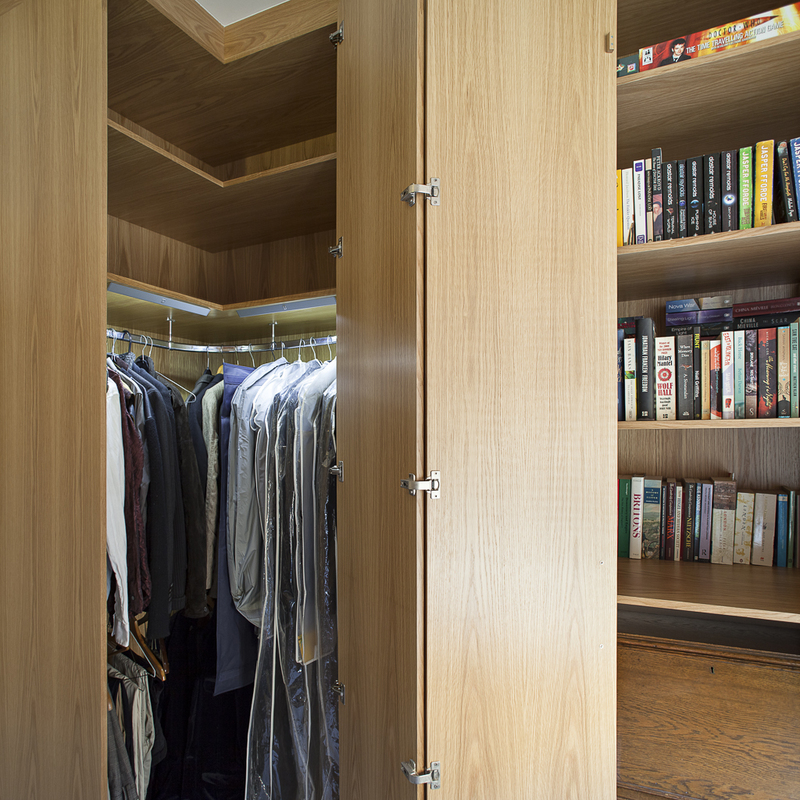 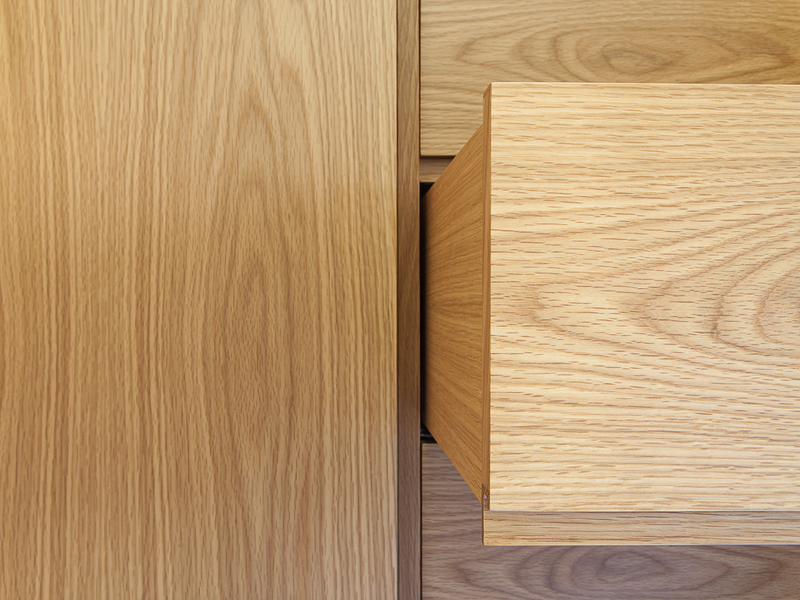 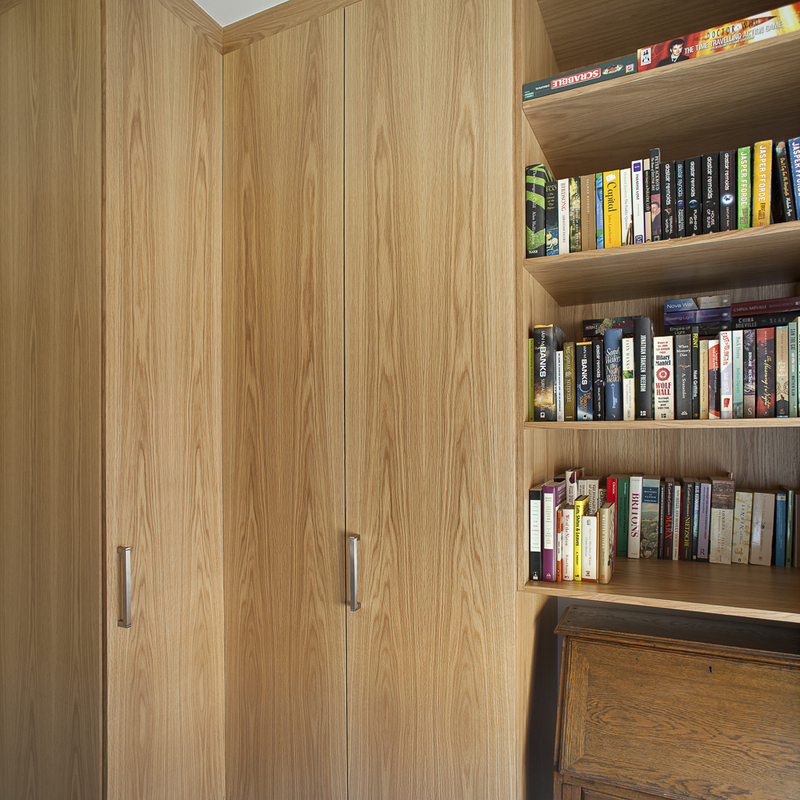 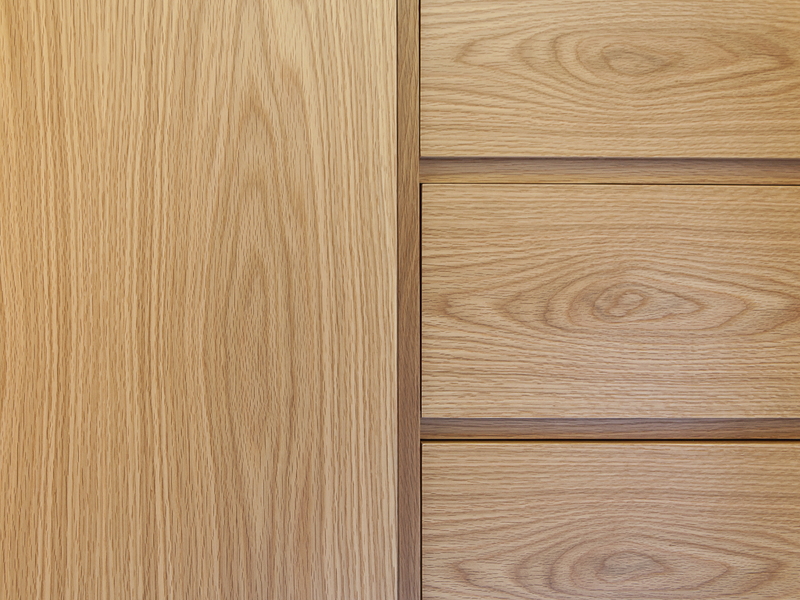 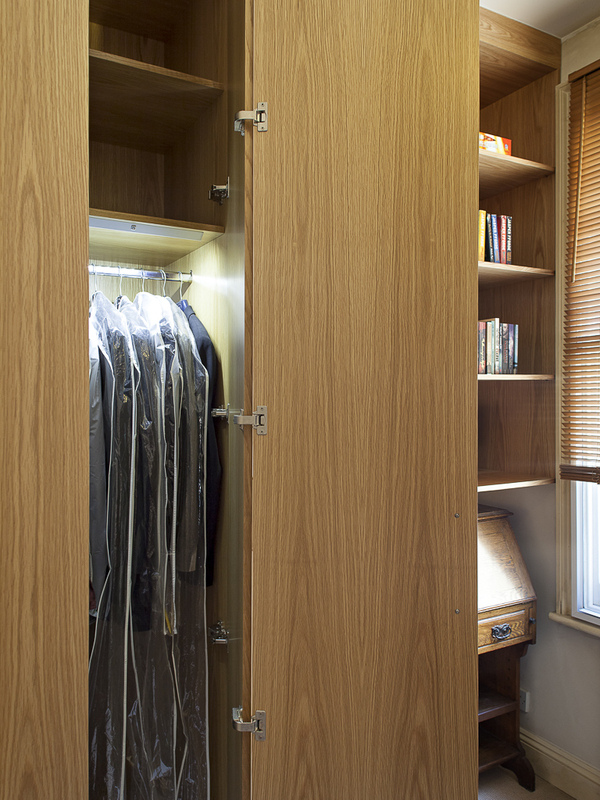 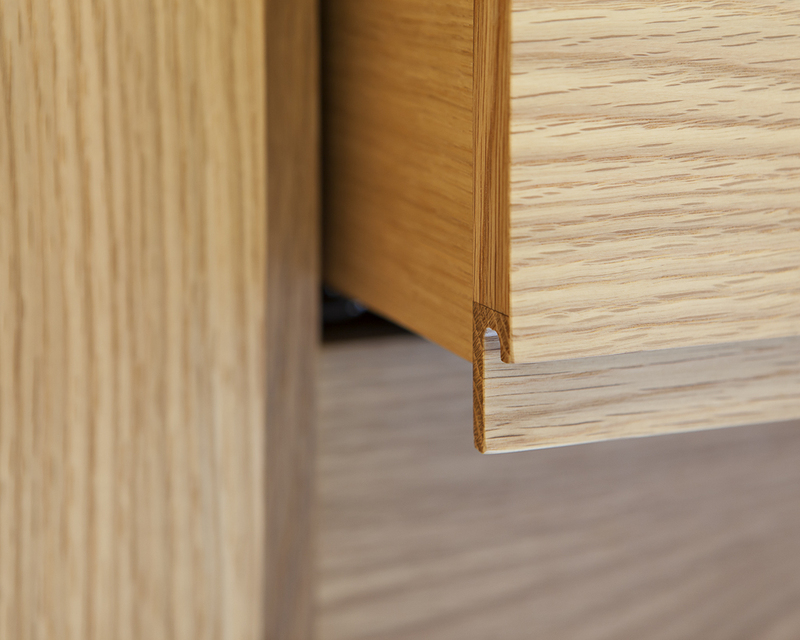 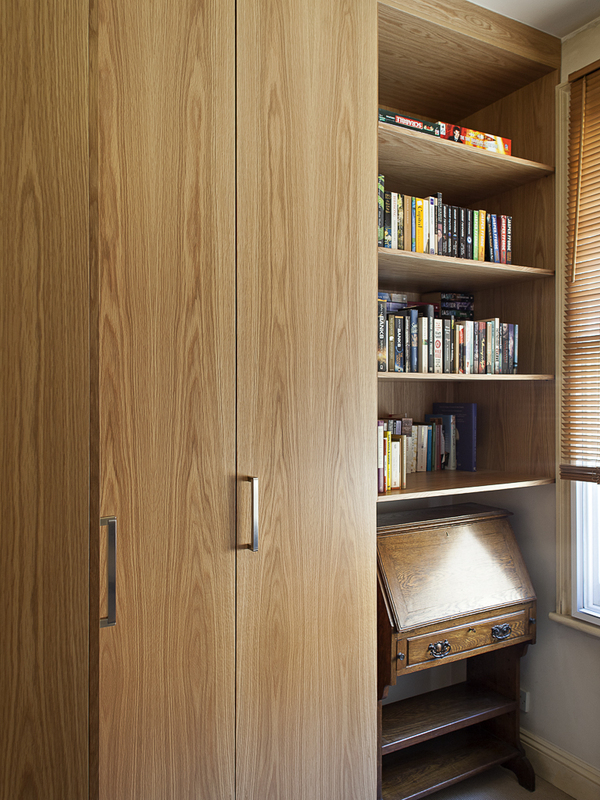 Oak veneered wardrobes were designed to incorporate an oak writing desk heirloom whilst maximising storage space. 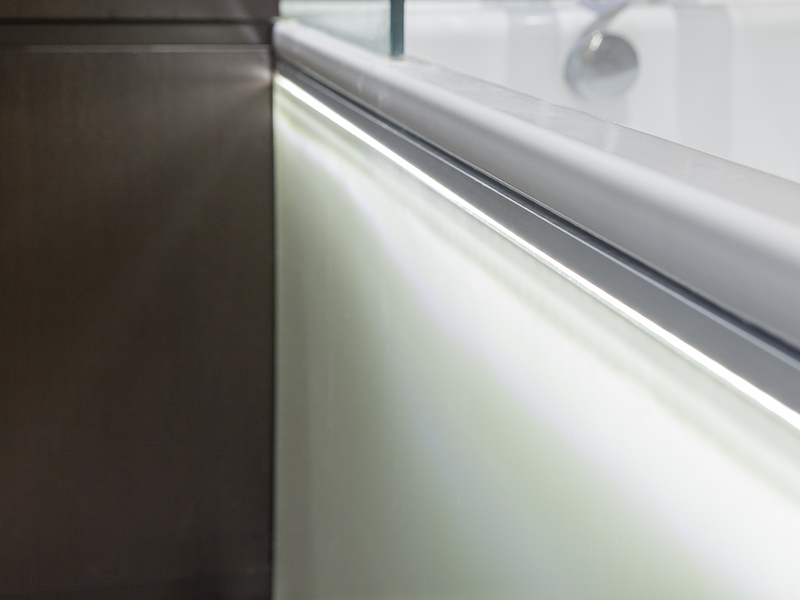 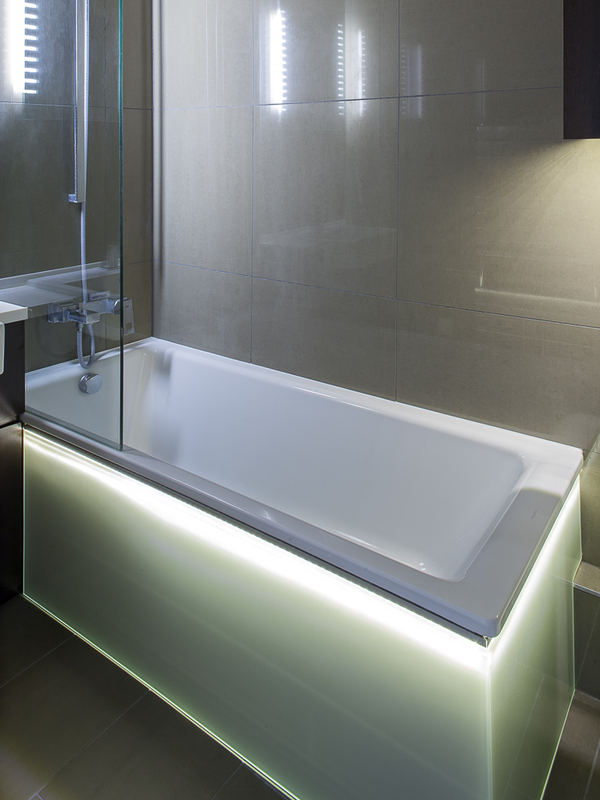 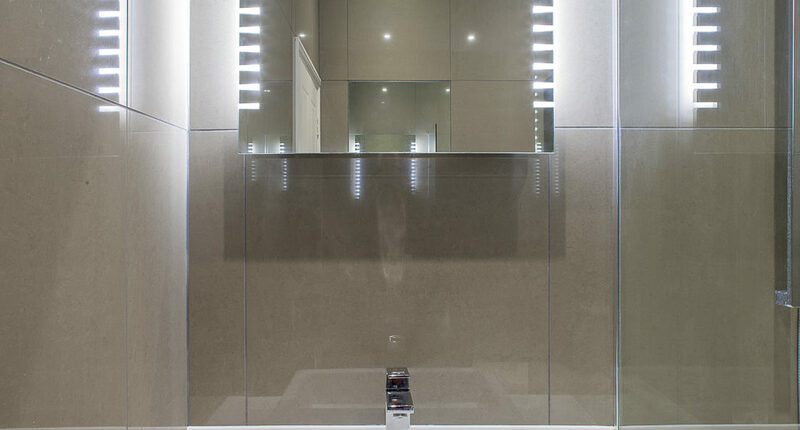 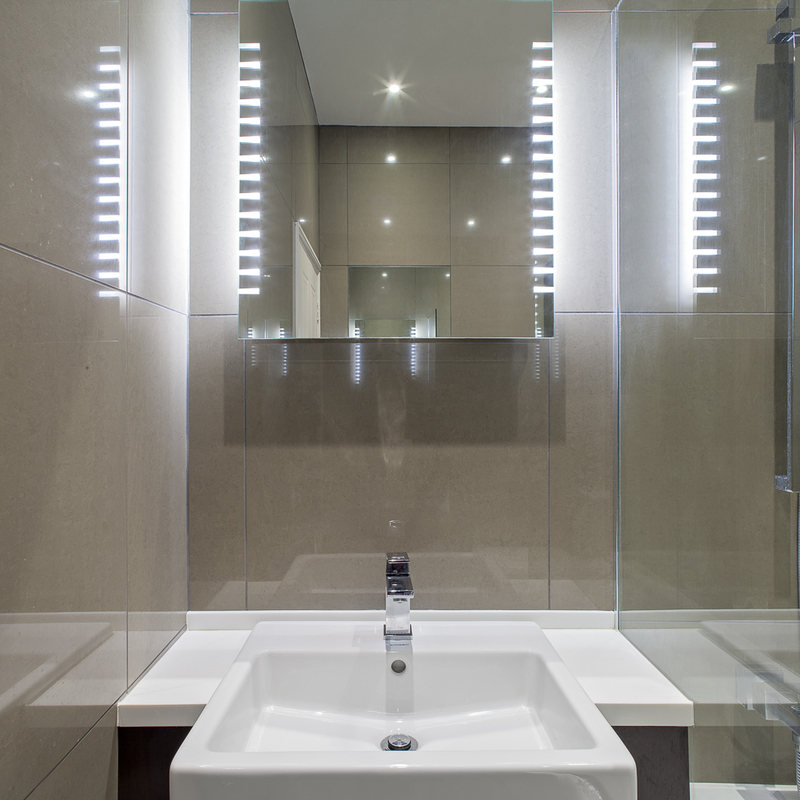 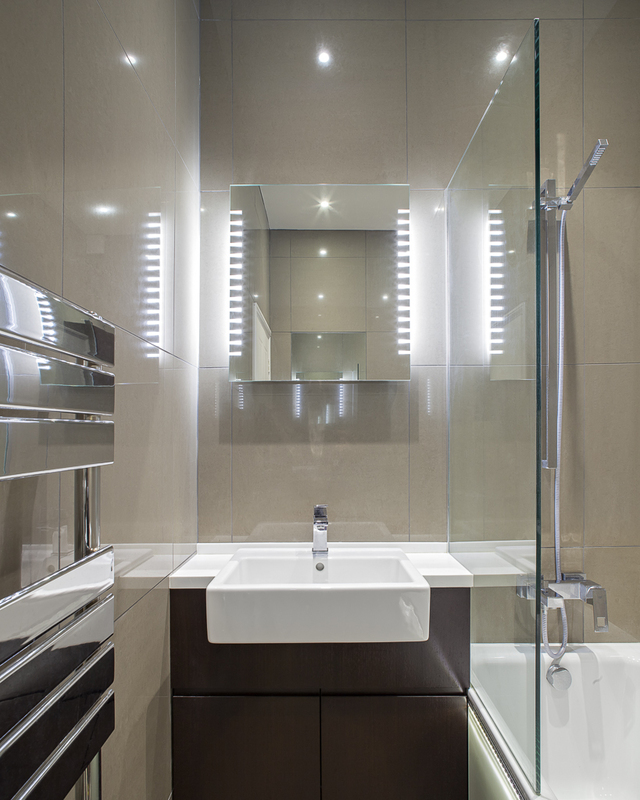 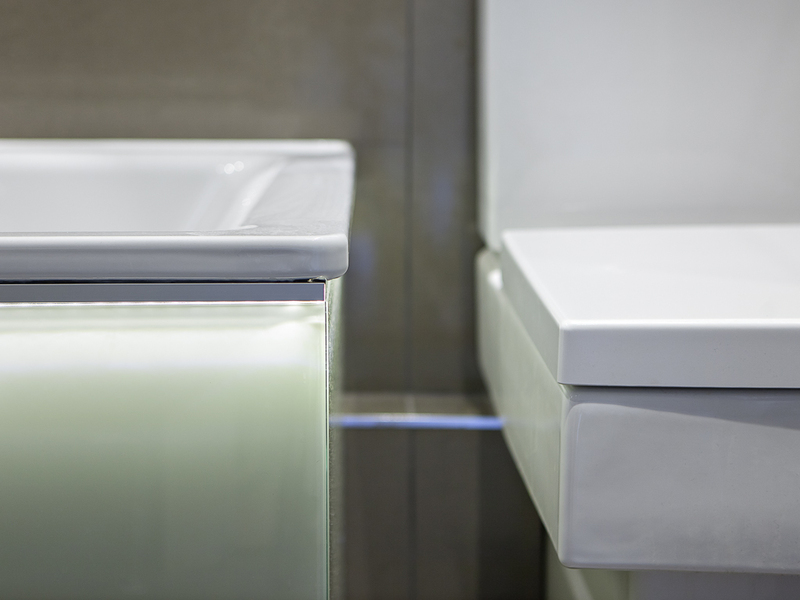 The bathroom layout was predetermined by the services in the building so concealed lighting and bespoke furniture pieces were designed to create a sense of increased space and eliminate hard-to clean surfaces.